We promise this lockout unit will NOT disappoint! Enjoy professional designer-work in both Tides 204 and Tides 205. There is a new lockout door installed in the dining room area of each condo to allow for a sharing, open experience to those who have large families - don't you hate travelling elevators and hallways just to spend time with each other? 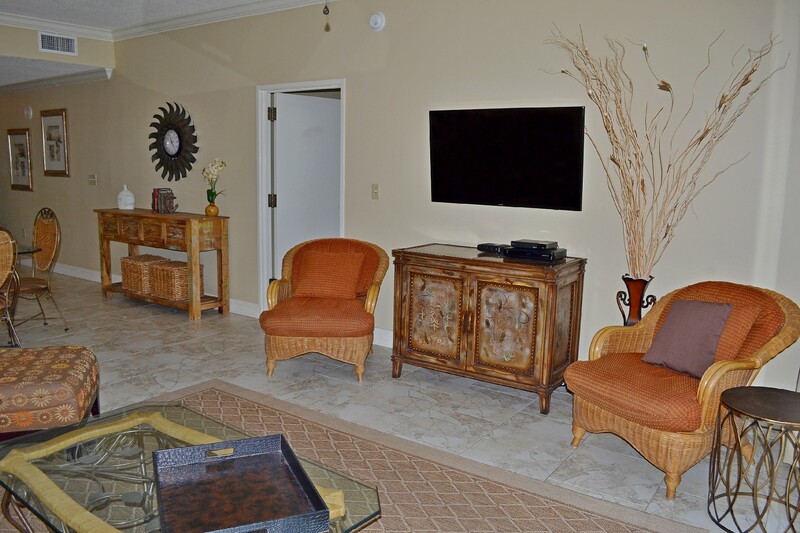 When you rent this condo as the lockout 4 bedroom/4 bathroom option, you will have 2 separate living rooms and 2 full kitchens with all the appliances and dinnerware you would need for a perfect home-cooked meal at night. We can't forget the 2 separate dining spaces that open to each other through the lockout door! Once inside each condo, you'll have the most amazing furnishings with the following bedding types: 2 Gulf front masters, both with 1 King bed in each. In 204, you will enjoy 1 Queen and 1 Full bed in the guest room whereas in 205 your guests will have 2 Full beds. Both units have sofa sleepers available for an overnight guest. 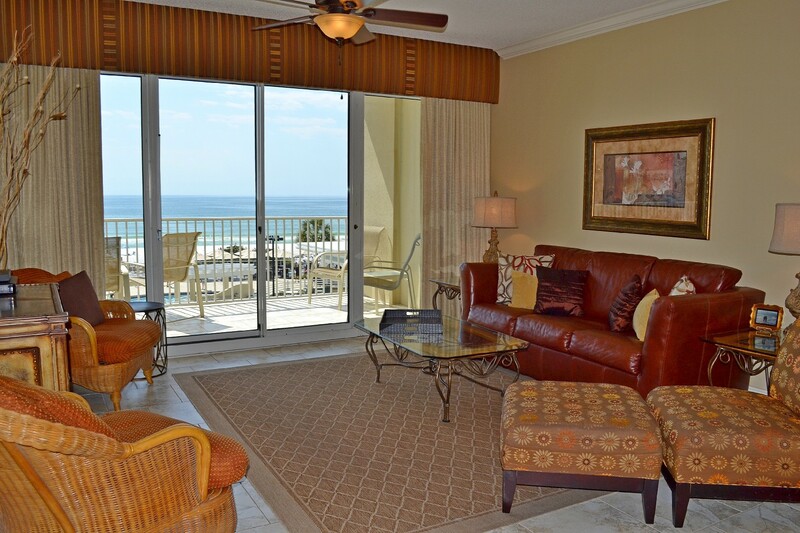 Did we mention you have 2 HUGE, GULF FRONT balconies? Both are private from each other, but we can assure you that evening glass of wine or morning coffee will never taste better once you are unpacked and relaxed. Now the question is - what are you waiting for? 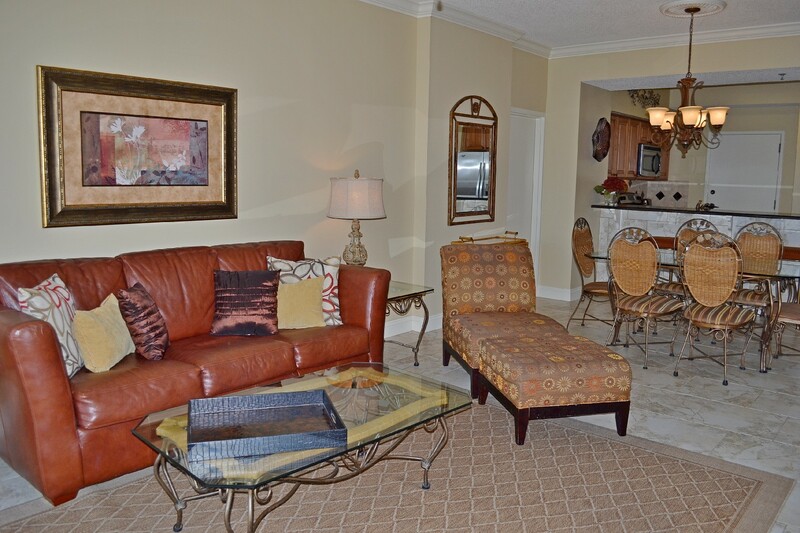 Don't wait to book the only 4 bed/4 bath Gulf front option in Tops'l and Sandestin!!! 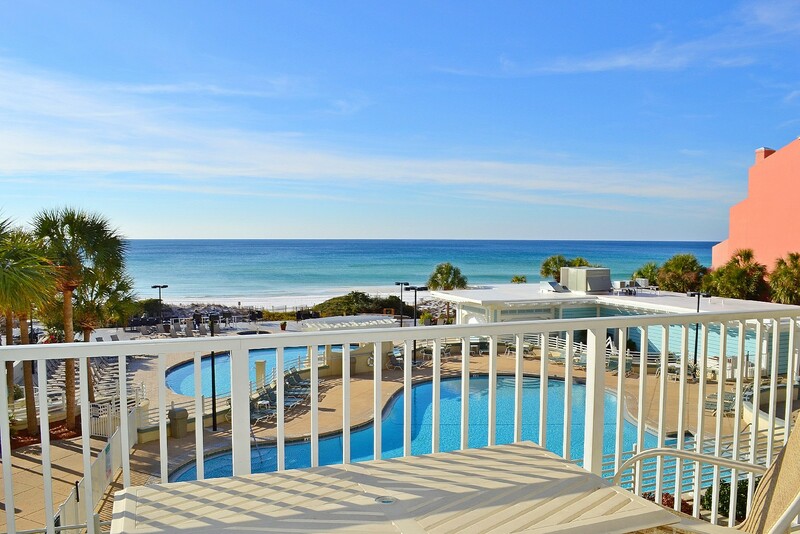 The Tops’l Beach and Racquet Resort is conveniently located 10 miles east of Destin in the Miramar Beach/Sandestin, FL area. The resort offers fun and relaxation for all ages and also provides a quiet, secluded peace of mind while being only minutes away from activities, shopping, dining, and so much more! The Tides building is beachfront – only a few quick steps until your tired feet set foot on the white, sandy beaches. A nature preserve calmly sits to your East allowing for gorgeous scenery and glimpses of wildlife as well as far less-crowded beaches.